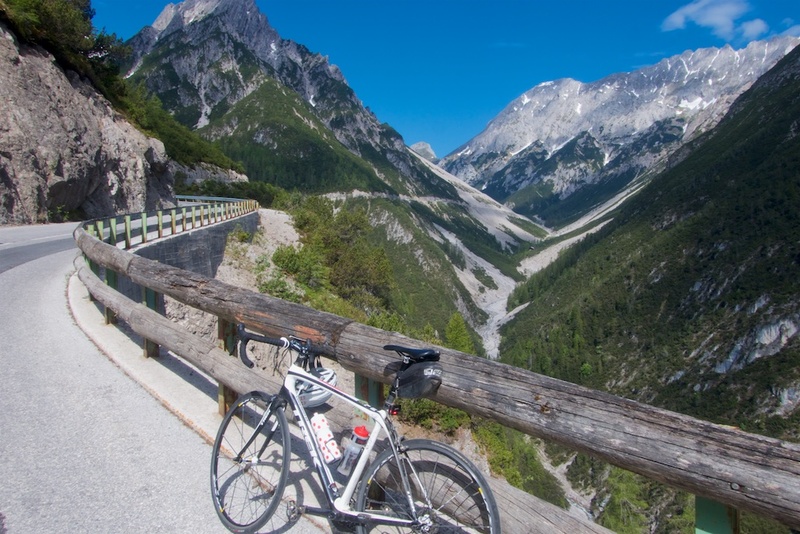 I am no expert on cycling in Austria but it’s full of high, often very steep, beautiful climbs. 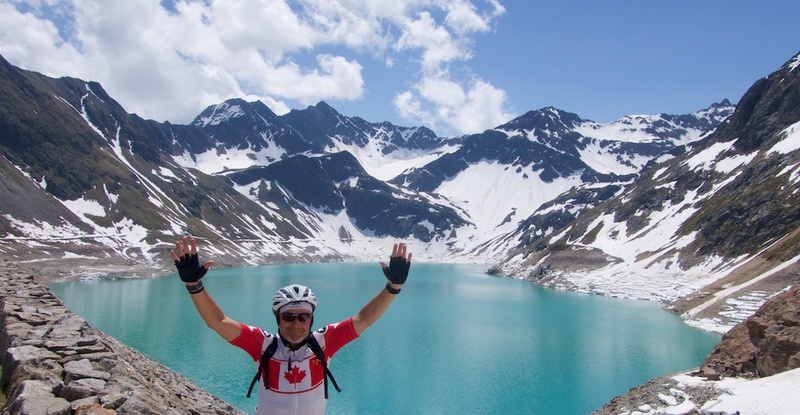 Similar to Switzerland, there are lots of climbs to high alpine lakes/dams – always extra beautiful. Here’s a map with most of the highest paved climbs in the country. Red icons: Climbs I have done (details of each below map). They are all very high and highly recommended. 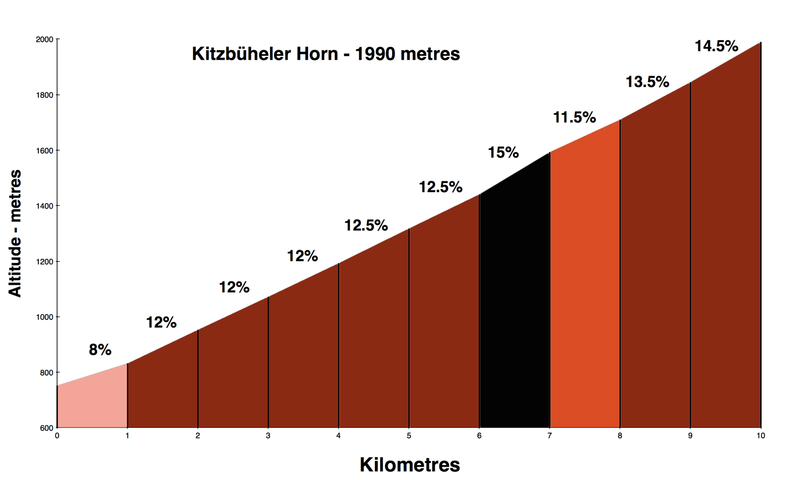 Orange icons: Climbs above 2000 metres that I’ve yet to ride. 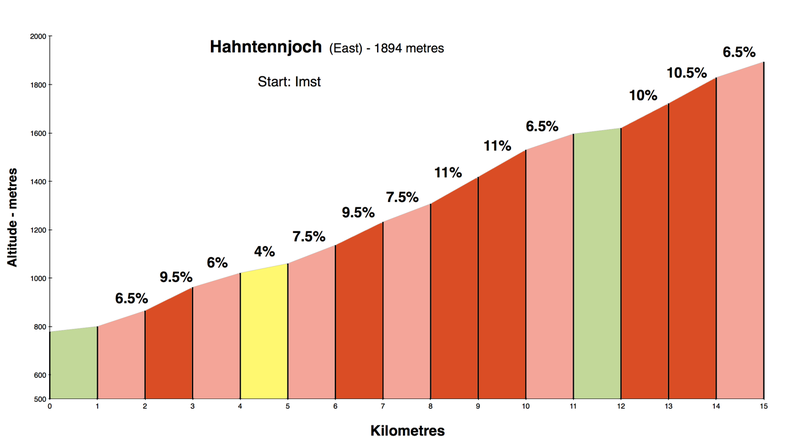 Green icons: Climbs between 1500 and 2000 metres that I’ve yet to ride. 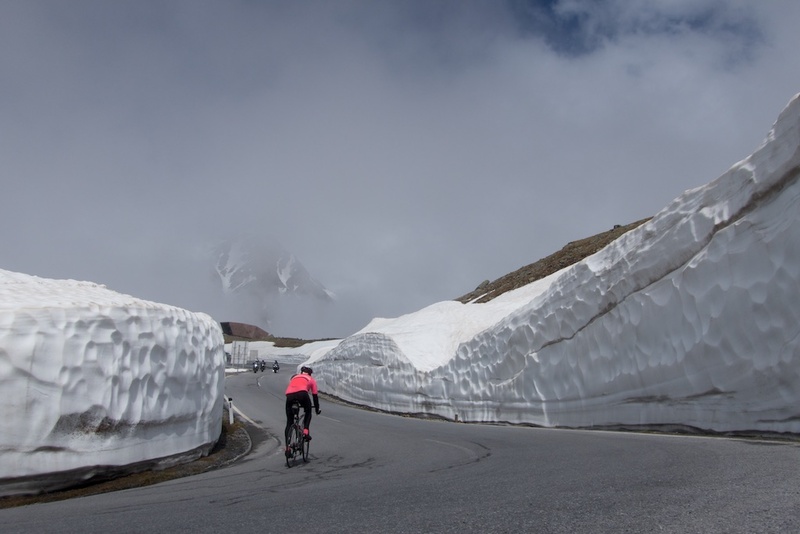 I used the great website www.cyclingcols.com to compile this list. 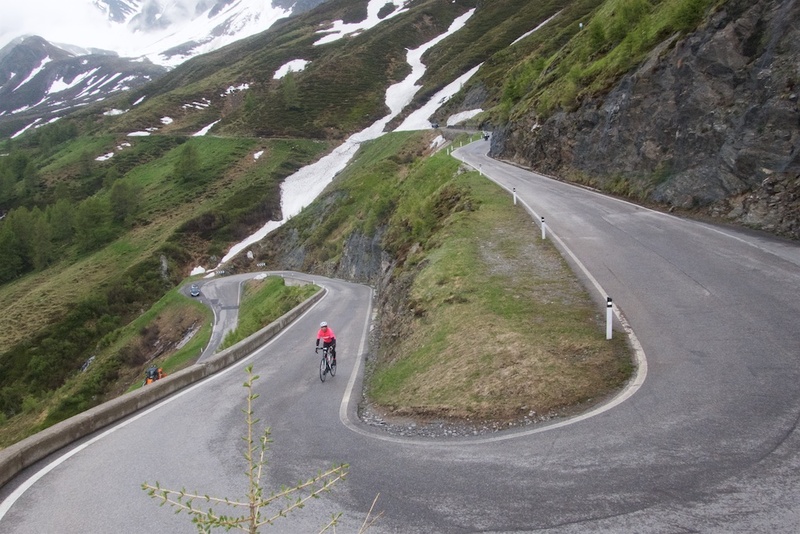 Search there for any of the listed climbs to get gradient profiles. 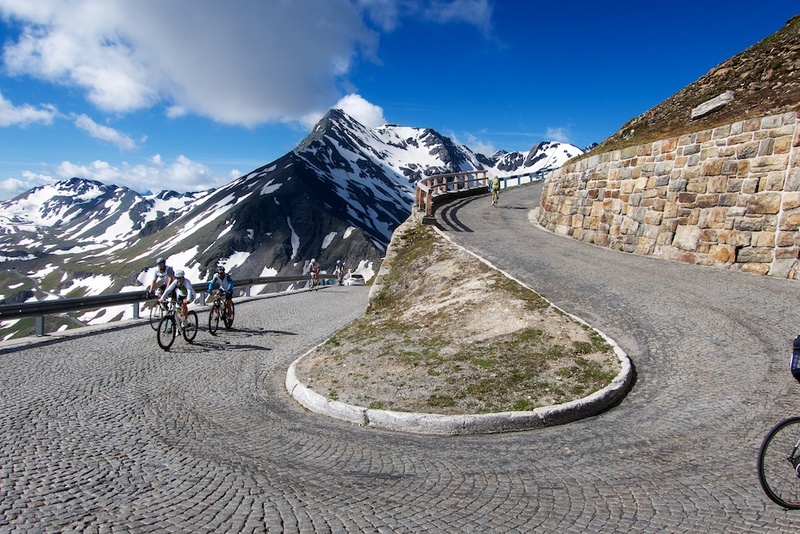 Please feel free to suggest any favourite climbs in the comments. Thanks. 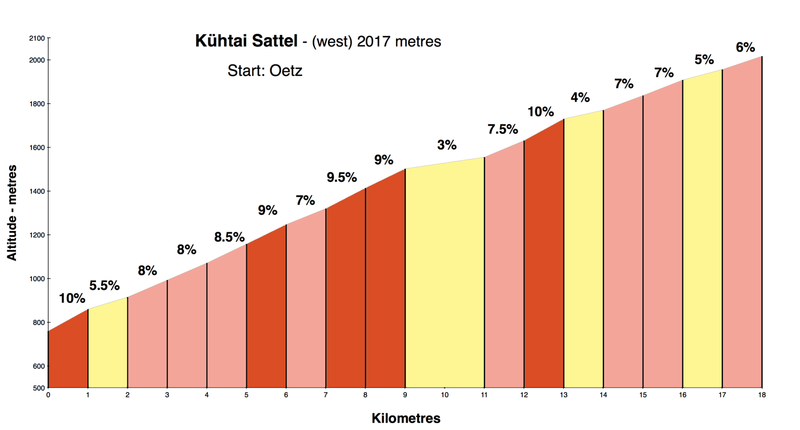 Starting from Oetz, in the same valley but far below Sölden (start of Timmelsjoch and Ötztaler Glacier road), the climb to Kühtai Sattel (2017 metres) is lovely. But the real treat is the tiny extension up to the Speicher Finstertal dam/lake. I visited end May and enjoyed a small snow hike for final success. But I it’s fully paved. Details here. 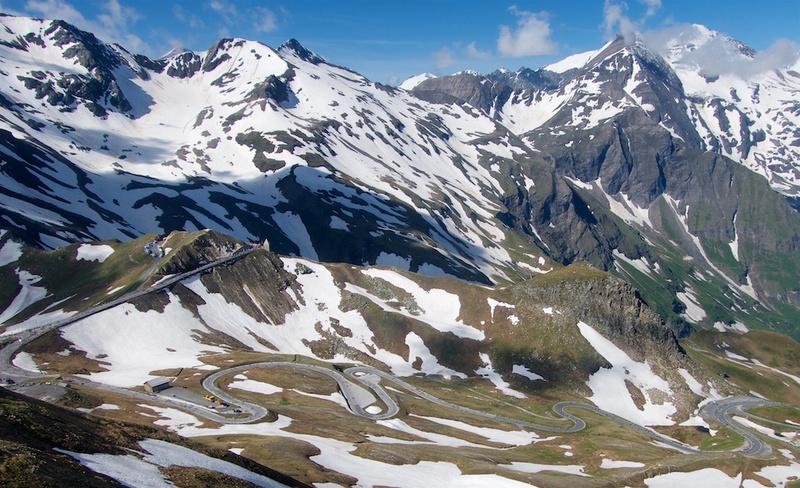 You know a road will be good when it has its own official web site. 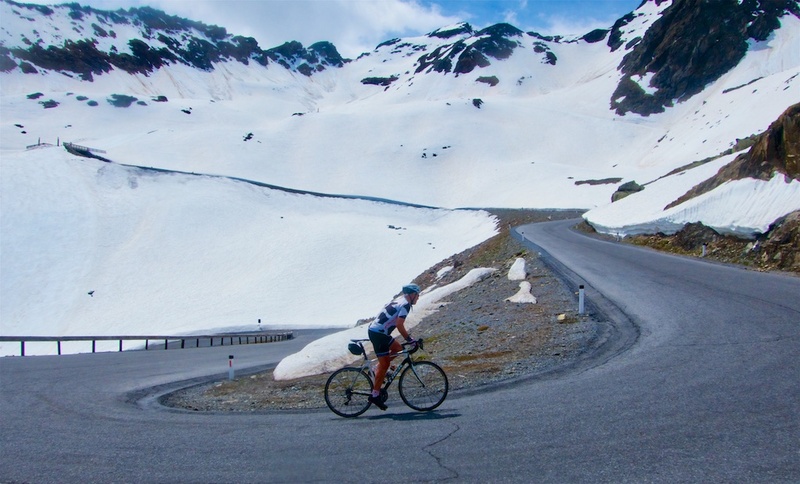 And if you’re a fan of this blog you know that many of my favourite rides are up to high alpine dams/lakes … this ride has two. 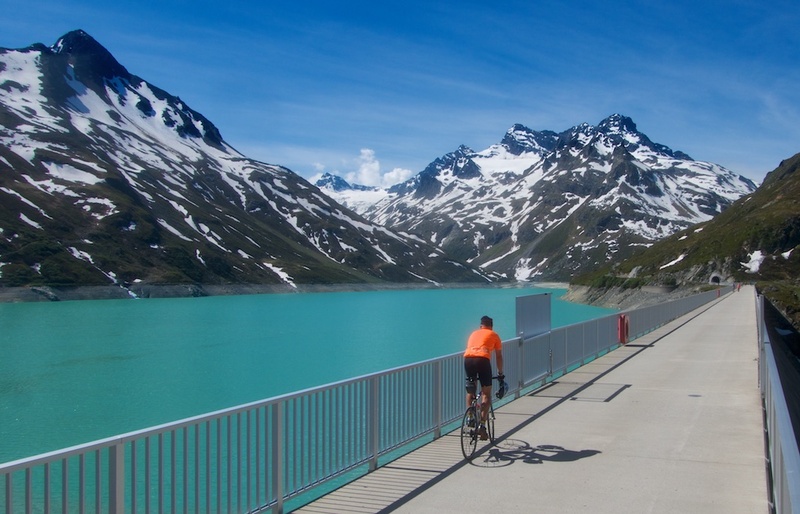 Below: Cycling on the Silvretta-Stausee dam at the exact summit. Details here. This is the steepest 10 kilometre stretch of paved road I have ever cycled. Ouch. 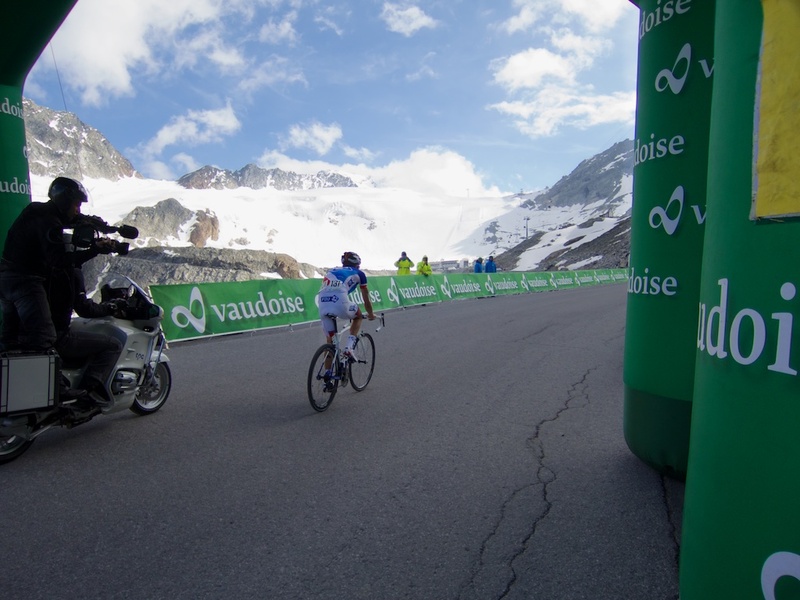 This crazy climb continues to the very summit on a tiny paved extension that goes far higher than pro race finishes. 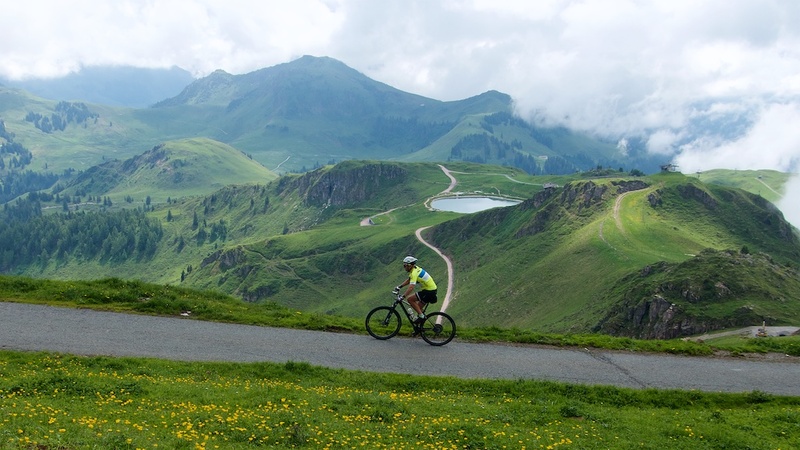 My ride would descend on a brilliant unpaved road down the back side – but a road bike is fine for the climb – details here. I made the mistake of riding this on an Austrian national holiday, “Corpus Christi” day, with perfect weather. So a touch miserable as crowded with motorcycles getting in the way of photos. But if you can find a quiet day, it’s beautiful. Details here. My gradient chart is fairly accurate. 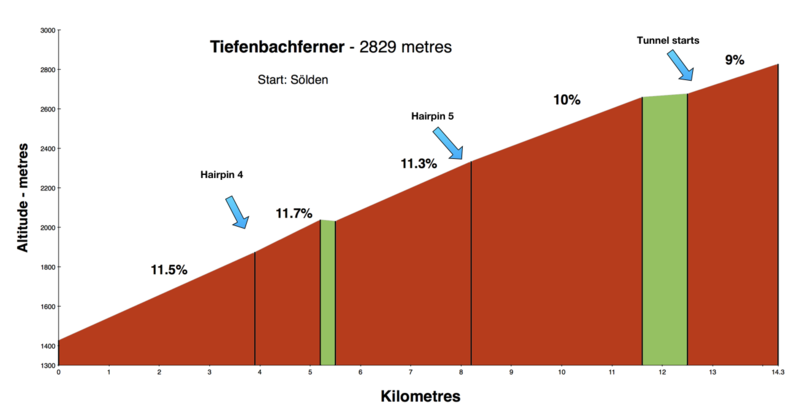 The math works: in other words the amount of climb shown over that distance is correct. (so if one kilometre is slightly understated, it means another is overstated). 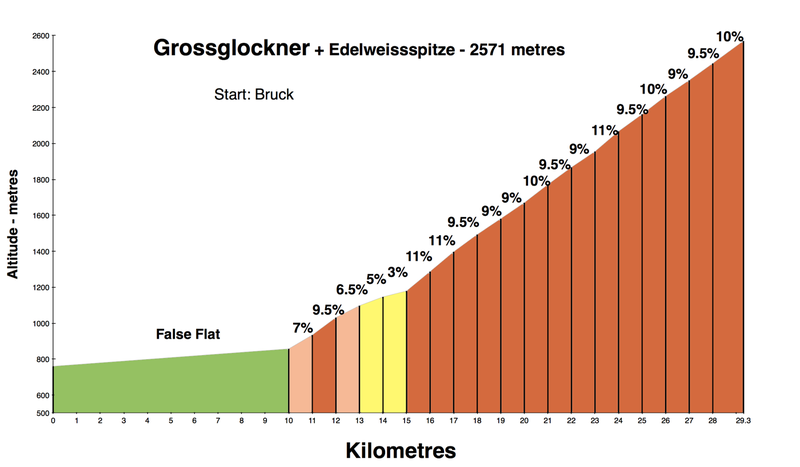 BUT the profile in your link highlights that there are lots of short very steep sections. Many thanks, added to the map. 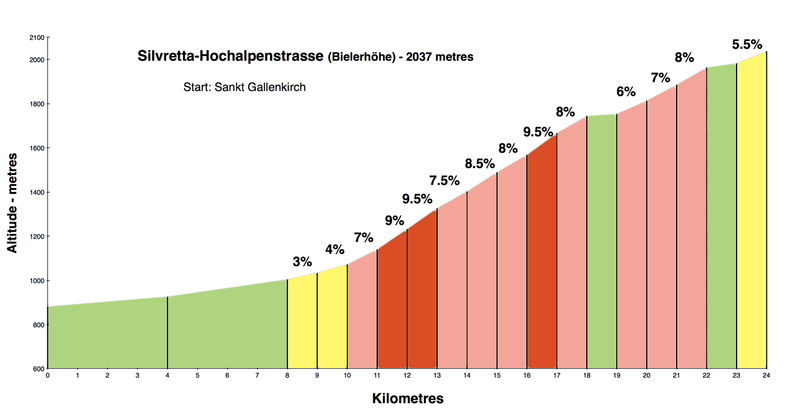 I know about two another climbs + 2000 m – Idalpe (above Ischl) http://www.quaeldich.de/paesse/idalpe/ and Koralpen https://www.climbbybike.com/climb.asp?Col=Koralpen—Grosser-Speikkogel&qryMountainID=1321. 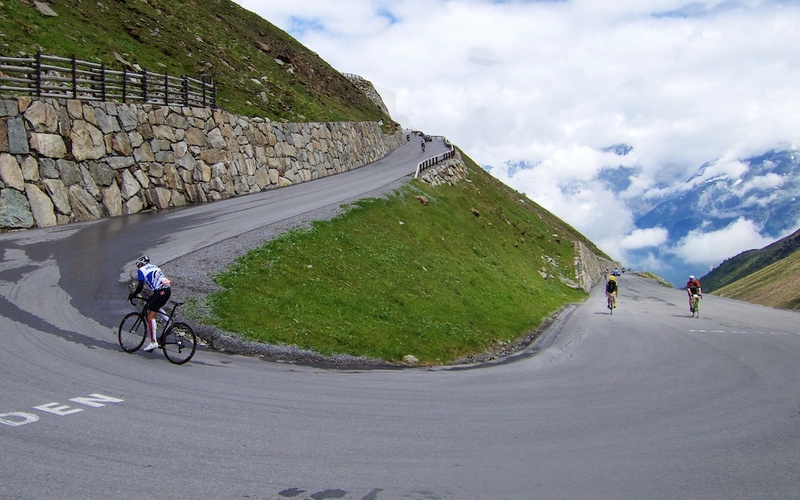 I haven’t ridden there yet but both looks very very steep. 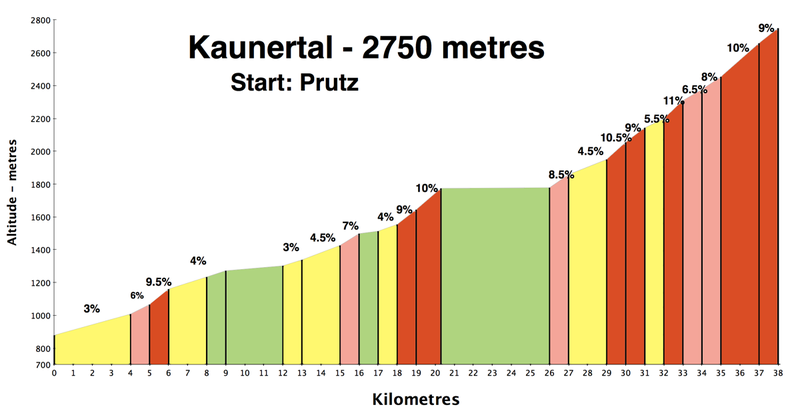 My favourite climbs are Kaunertal and Stalle (especially italian side). 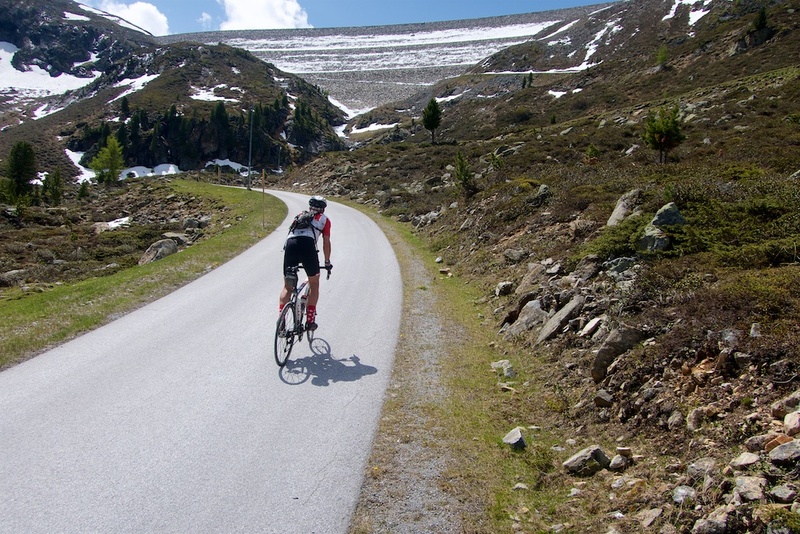 Just beside is Klammljoch, pass with long gravel stretch but still rideable on road bike. THANKS! I have added them to the map.